Cinfy is a Product Development and Solution Provider company. We architect the solutions for our clients. We call ourselves as solution architects instead of software architects is because we provide business centric software architecting services. Being specialized in the product development, we realize the importance of having right software architecture. Software architecture is a blue-print of the software; it is a foundation of the software. Architecture defines major components, their relationships, structure, behavior and rational behind it. We provide solution architecting consultancy to fulfill the needs of all the stakeholders from the solution architecture. 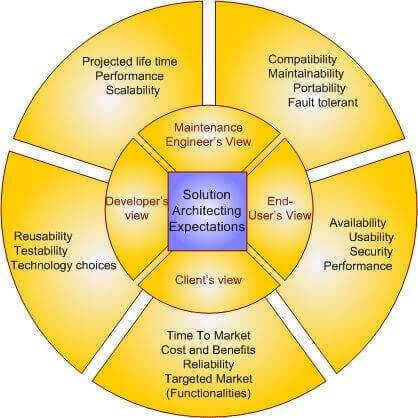 It generally includes technology platform, physical architecture, software architecture, network architecture with all non-functional software requirements addressed.